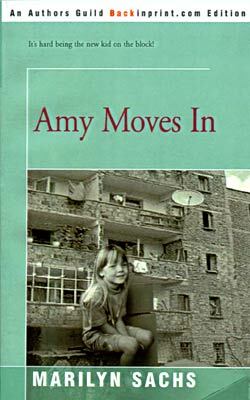 As I read Amy Moves In by Marilyn Sachs I was transported back to my childhood as I experienced the same strong emotions that the book elicited from me as a child. I enjoyed rereading this book very much, felt the intensity of childhood emotions as Amy tries to fit in and make friends at her new school and neighborhood, and struggles with being more honest and standing up for others. I must have identified with Amy when I was a child, and loved this book. Amy also has to deal with the upset of her mother's accident and long stay in the hospital. I remember how greatly that affected me as a child. I think my younger daughter will enjoy reading Amy Moves In; she wants me to read the book she's just finished, Just as Long as We're Together by Judy Blume, so we'll switch books. Afterward we'll have lively discussions about the books.